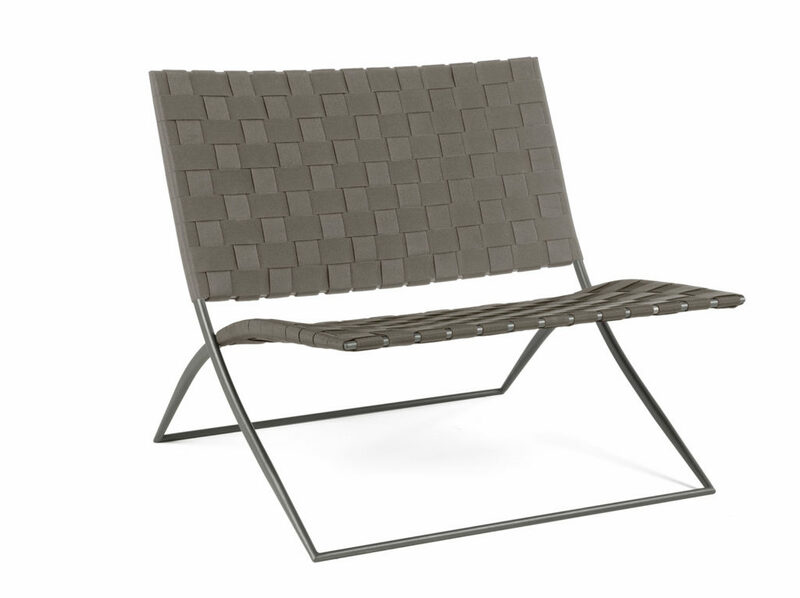 The BERENICE chair is an exemplary mix of design sobriety that does not want to give up the taste of decorative detail. The slender and tapered silouette of the structure blends with the hand-woven body, giving rise to a surprising aesthetic freshness. 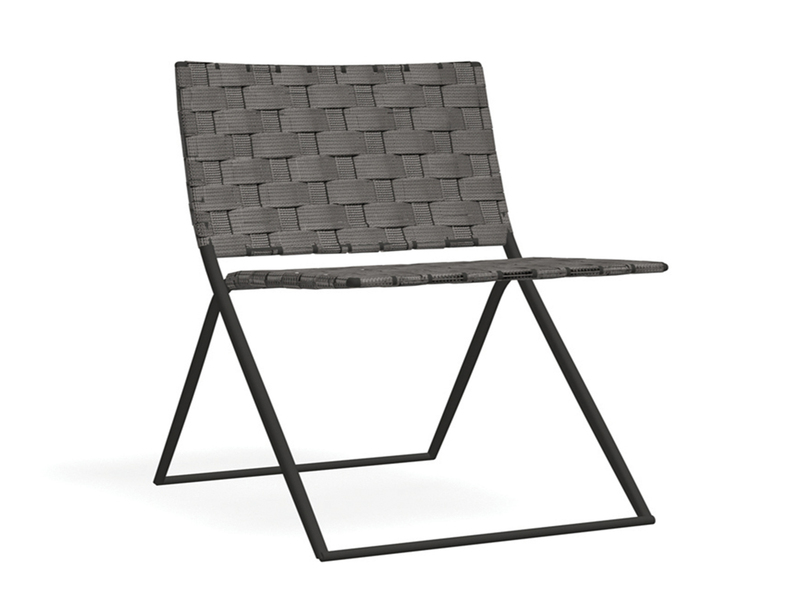 Declined in lounge chair and lounge chair, BERENICE is offered in traditional RODA matches, with smoke structure and gray belt, or milk structure and sand belt.